Ever on the lookout for savings and deals, at Moneybright we recently decided to focus on car insurance, or rather how you can save money on your car insurance. If you’re a driver, you’ll know just how expensive not only to buy, but running and maintaining a car can be. From regular services and MOTs, to car tax and insurance – there are a lot of costs that contribute to owning a car and if you’re not a little frugal about it, the costs can really begin to add up. 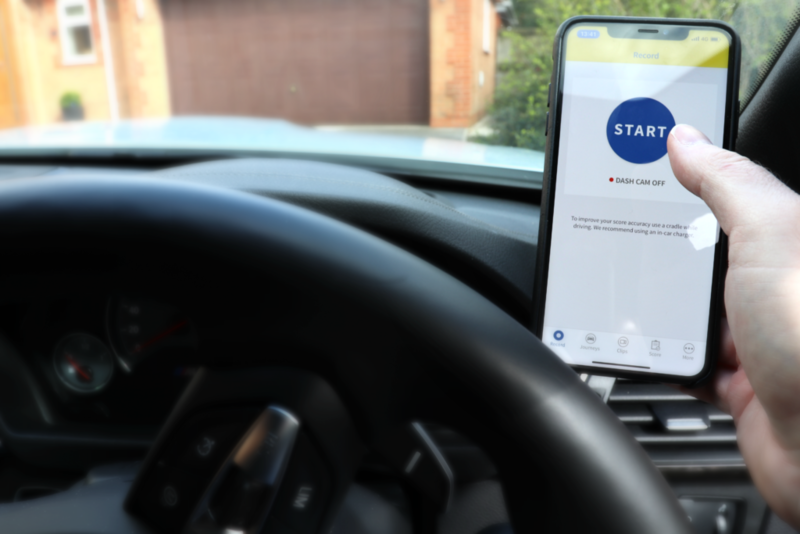 So, we tested the Aviva Drive App, which monitors your driving and if it’s happy with your performance, it will lower your insurance. Here’s what Rick, who tried out the app, had to say. What Potential Insurance Savings Are There To Be Had? How Easy Is It To Set Up The Aviva Drive App? 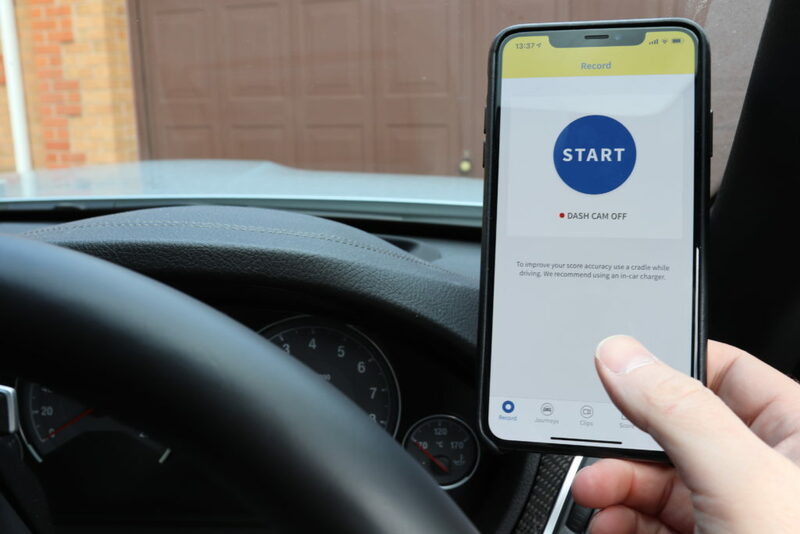 Installing and setting up the Aviva Drive App was easy as expected. As I already have an Aviva login, the app prompted me to either login or to set up an Aviva account for a new customer. Once logged in the interface was very simple with a big start button and just a few menu options to view journeys, and any badges earned. It asked me to allow it to have access to my location, and I initially only granted permission to access my location when using the app and it failed to work. You must grant full access to your location at all times and once I did this it worked. Click the large start button to begin, which then turns into a stop button to end each journey. The app also has a dash cam, but I didn’t use this as I was concerned it would drain my battery too quickly. Aviva recommends that it is placed in a cradle which I thought was sensible as its safer, and your score could be affected if it is not stable in your vehicle. H2: What Was It Like Using The Aviva Drive App On The Road? As soon as I pushed the start button I became aware of my every action behind the wheel and questioned everything. Was I accelerating or braking too hard? What was my speed? Was I driving smoothly? I then wondered how my phone could actually judge my driving ability at all. Day one was tough. I was anxious as I approached the first roundabout and was concerned it would think I was moving too quickly. I noticed how rushed everyone else was and bad driving stood out more than ever. I worried someone cutting me up may result in me suffering a penalty of some kind. I can honestly say I have not felt as uncomfortable behind the wheel since I passed my test. I really felt like this was going to be a waste of my time and there is no chance I will get a discount. After all, Aviva had already quoted my renewal. I really wondered if this was going to impact my score as I would have thought this was only to attract new customers. Day one ended with 36 miles covered and I got my first three badges one for my first drive, one for accelerating and one for braking. So far so good… My driving style was more cautious than usual. I accelerated very gradually and slowed down well in advance of braking so stopping was smooth. I drive into Manchester city centre each day to my office, so it usually involves a lot of traffic and stopping and starting. Over the next week, I noticed how different I was driving due to being monitored, it really highlighted a few bad habits I had got into like breaking too fast and driving a little too close to the car in front. While using the app I rectified these issues as I was concerned I may be forced into breaking sharply. It also highlighted how impatient everyone is! One downside was accessing motorways and roundabouts, I was much more nervous as sometimes accelerating hard is the only way you can keep moving. Within the week I completed the 200 miles and achieved a score of 9.4 out of 10 which meant the full discount of 28%. I did feel a huge sense of achievement and called immediately to check that this could be applied. As my premium was well over £400 the full discount of 28% was applied without any problem. Aviva was then just over £200 cheaper than any of the alternatives. I would recommend giving this a go as it is a genuine money saving opportunity and it may just improve your driving. You can find out more about the Aviva Drive app here if you’re interested. Do you have any money saving tips to share with us? You can tell us about them here. If you’d like to submit a deal to us, you can also do that here. Posted on March 29th, 2019 in Transport and Motoring.